Friends and family of a northern Iowa TV news anchor missing since 1995 hope a new billboard campaign will help solve the mystery of her disappearance. Courtesy of Caroline Lowe and FindJodi.com. 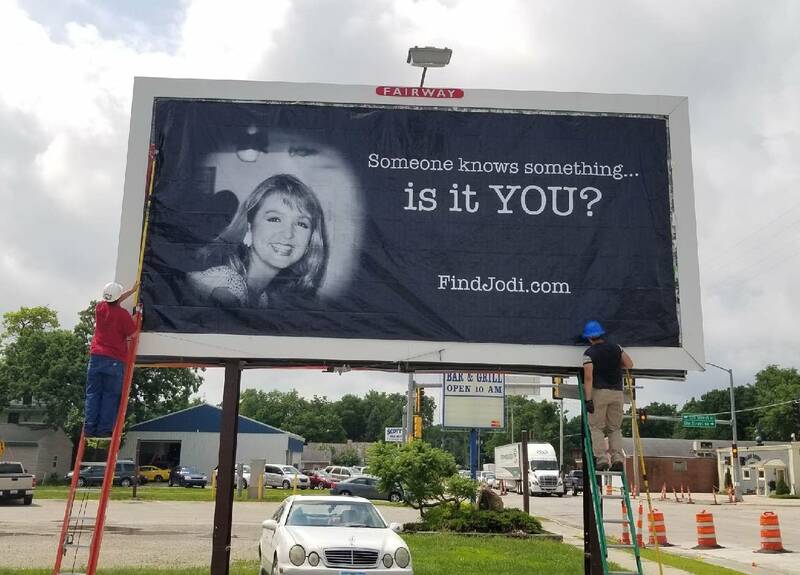 Billboards are going up around Mason City, Iowa, asking the public for clues in the long-unsolved disappearance of Minnesota native Jodi Huisentruit. Huisentruit, a TV news anchor for KIMT in Mason City, left for work on June 27, 1995, but never made it to the station. Now, days before what would have been Huisentruit's 50th birthday, four billboards featuring her photo and the message, "Somebody knows something ... is it YOU?" are being put up to mark her memory — and to ask for help in solving the case. The billboards are sponsored by FindJodi.com, a nonprofit team of police officers and journalists who haven't given up on figuring out what happened to Huisentruit. Morning Edition host Cathy Wurzer spoke with one member of the team, Caroline Lowe, a former WCCO-TV reporter who covered Huisentruit's disappearance.